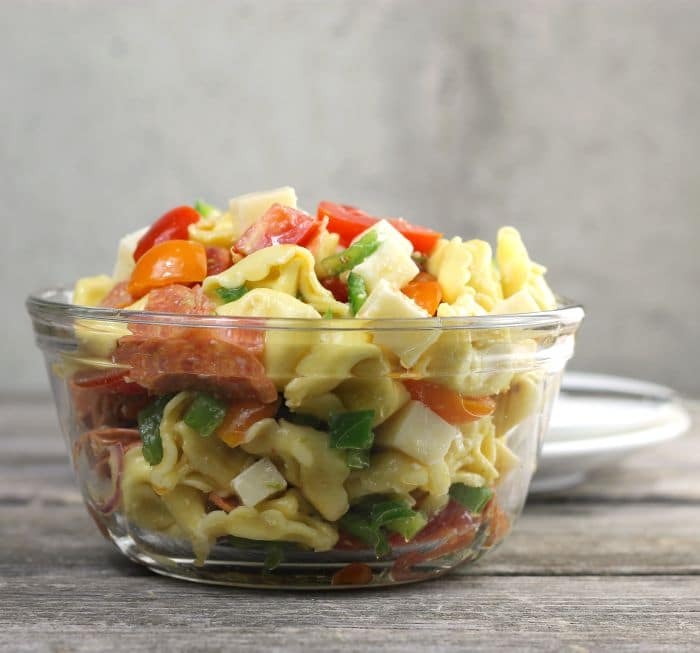 This cheese tortellini Italian pasta salad is one of our family favorites, we make a few different versions of it, but no matter what version is made it is always a hit. The whole family went up north the past week. 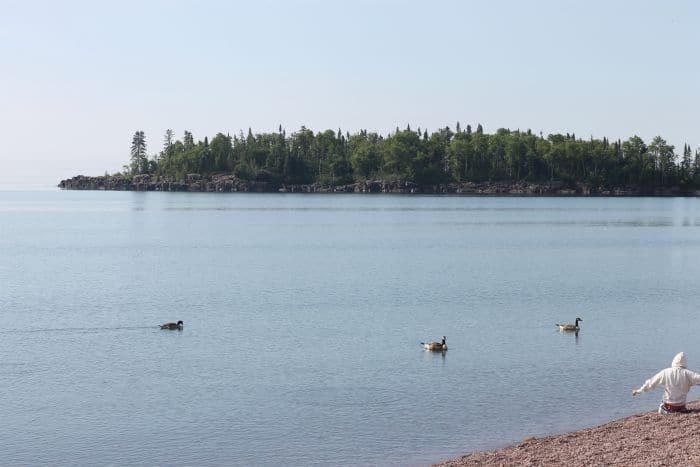 When I say up north I mean Northern Minnesota, we were only about 50 miles from Canada. And when I say the whole family I mean all of our kids, in-law kids, and grandkids. There was 12 of us in all. We were able to book a suite so everyone could stay together. We had a full kitchen in the suite and there was a gas grill at the hotel, so we were able to make all of our meals there. This pasta dish was served for one of the side dishes while we were there. And the view from our suite was beautiful! Fun times! Can’t wait until we can do it again! Cook the cheese tortellini using the directions on the package. Once the pasta is cooked rinse and cool. While the tortellini is cooking/cooling prepare the rest of the ingredients. 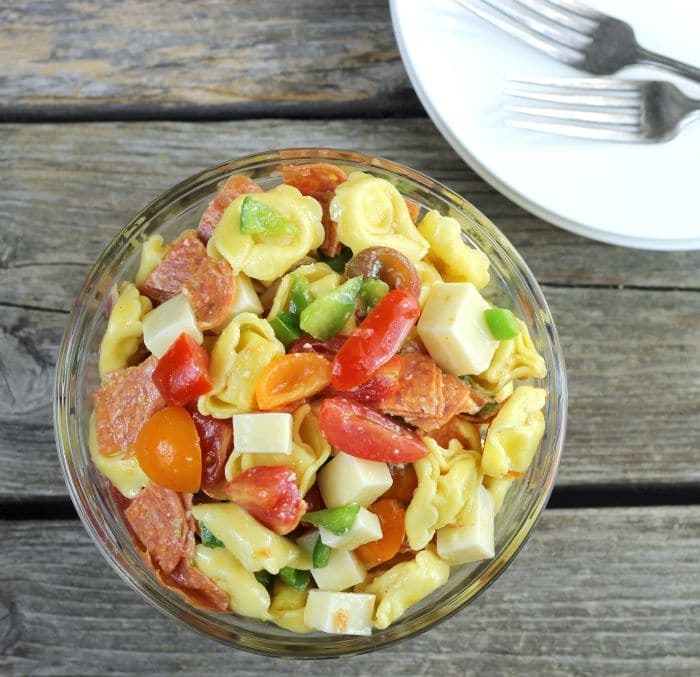 Once the tortellini is cooled combine with all of the ingredients except for the ingredients for the dressing. Mix well. Prepare the dressing. Add the minced garlic, salt, and pepper. Add the vinegar and yellow mustard and whisk together with the dry ingredients. Whisk in the olive oil. Add the Parmesan cheese and whisk in. Pour about 1/2 of the dressing over the pasta salad and mix until the everything is coated. 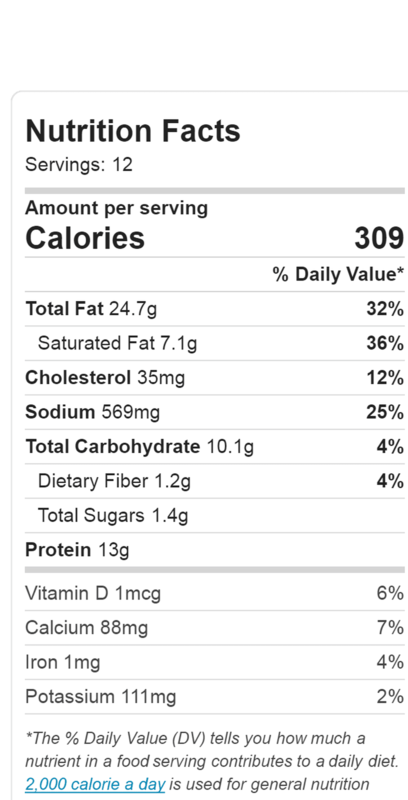 Save the other half and add just before serving. The pasta will absorb the dressing, so adding the other half of the dressing just before serving will help so that the salad is not too dry when serving. Looks absolutely delicious and comforting! It’s pretty country where you were! 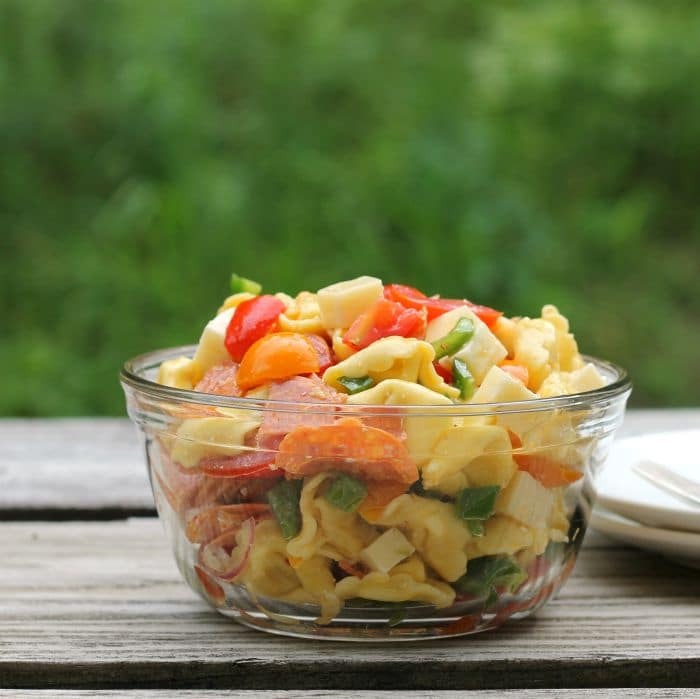 And this is a pretty pasta salad — looks incredibly tasty, too. Thanks! That sounds like a wonderful vacation, Dawn! Did you swim out to that island in the photo? And as far as the pasta salad, two thumbs up! 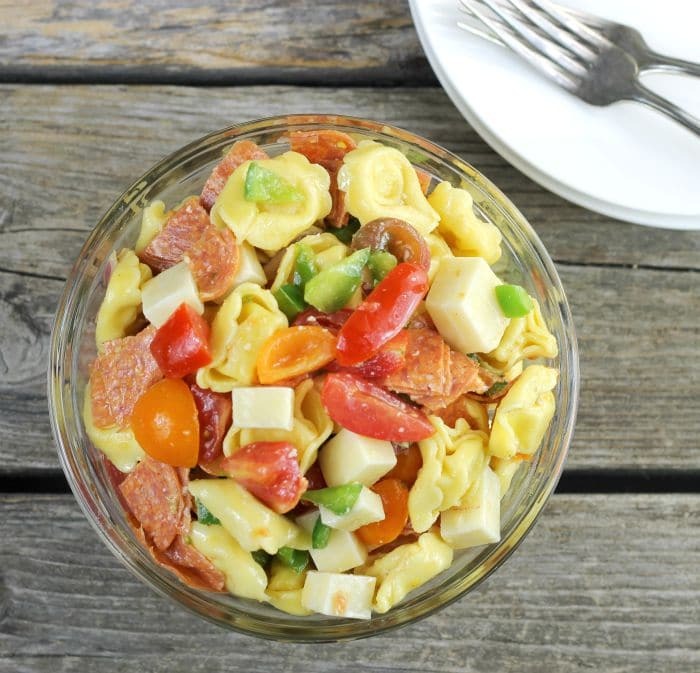 I am a huge fan of tortellini, and I love the other ingredients in this one, too! It was a fun vacation. No swimming, the water was freezing cold. Thanks David. That sounds so fun and your pasta salad looks delicious! I’m a big fan of all those Italian flavors! My favorites.